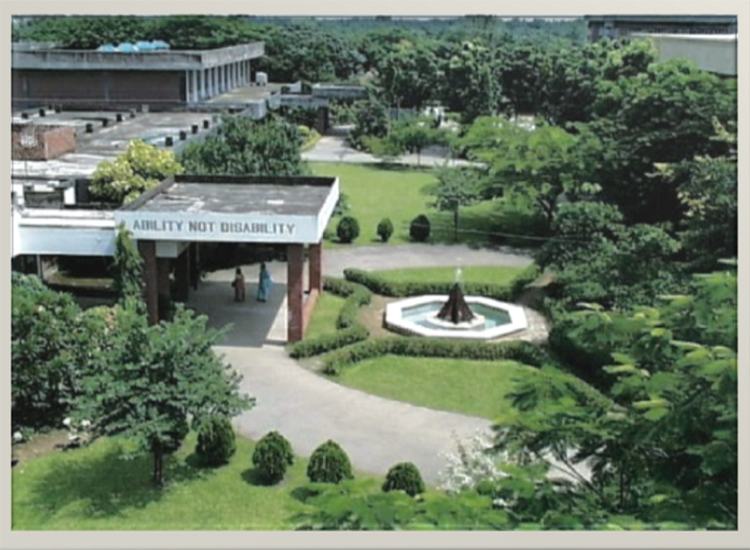 The headquarters of the Centre for the Rehabilitation of the Paralysed (CRP) is situated in Chapain, Savar and occupies approximately 11 acres of land. In 1990, CRP relocated to CRP-Savar from rented premises in Farmgate. 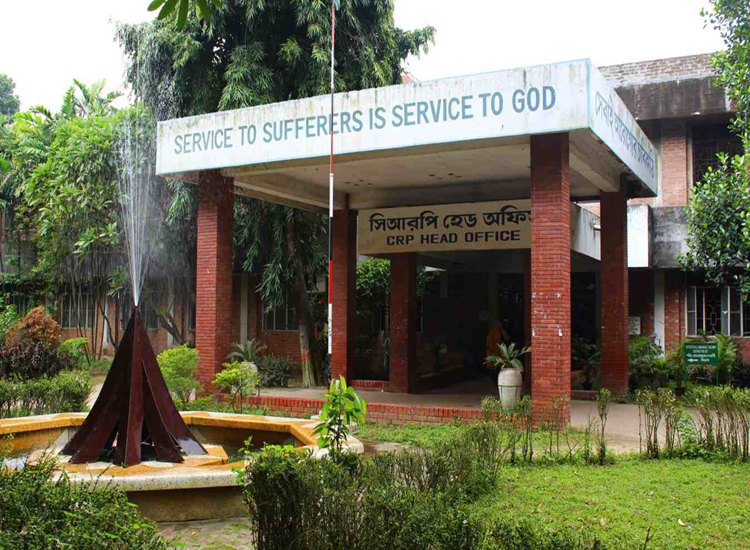 The executive and administrative offices, medical service wing, therapy service departments, surgical operating facilities, patient accommodation, educational institutes of CRP (Bangladesh Health Professions Institute, CRP Nursing College, William & Marie Taylor Inclusive School, School of Prosthetics &Orthotics) and other service units are all located at the head office. There is a basketball court as well as other sports facilities. A large multi-purpose hall called Reddaway Hall provides facilities for cultural events, conferences, meetings, sports events and patient activities. There is also a unique type of rehabilitation training facility known as the half-way hostel, where patients prepare themselves for returning to their community. There is a large accessible garden where SCI patients learn gardening skills from a wheelchair. CRP-aware shop is an outlet for the sale of handicrafts made by CRP’s patients. CRP originally began its operation in 1979 using two cement storerooms in the grounds of the Shaheed Suhrawardy Hospital, Dhaka. The size and complexity of the current CRP-Savar centre, the 13 CRP sub-centres across Bangladesh and the extensive range of services now provided to Persons with Disabilities, exemplify the progress made by CRP during the last39 years of operation. Address: PO CRP-Chapain, C R P Road, Savar Union 1343, Bangladesh.